When I was 26 years old, I was diagnosed with Crohn's disease, which produces inflammation in the colon and small intestine and can produce symptoms that range from annoying to life-threatening. In the early conversations I had with my then-doctor about the disease and its causes and effects, I remember with sharp clarity one thing he told me: "No food or drink that you put into your mouth will effect the course of the disease." I took him at his word. The disease was caused by a problem in my immune system, and that didn't have anything to do with my diet. Over the next few years, I heard this same thing from other doctors, and found it in books and articles I read about the disease. So I didn't really make any changes to my diet other than to eat bland foods when the disease was active in order to avoid unpleasant symptoms. New disease activity meant changes or additions to my medications, not changes to my diets or lifestyle habits. At the same time, I was aware of the fact that a community of people promoted diet as a way to both improve and even cure the disease. I chose to believe my doctor instead, and even argued in my book Learning Sickness: A Year with Crohn's Disease that when people claimed you could cure Crohn's disease through changes to your diet or other lifestyle choices it constituted a kind of blaming-the-victim mentality. It implied that those of us who were experiencing illness were somehow at fault for not doing more to cure ourselves. In my mid to late thirties, after I had been living with the disease for a decade or so, I decided to make some changes to my diet. I didn't follow any particular Crohn's disease diet guru. I had just become less and less convinced that my diet had nothing to do with my disease. Maybe it wasn't the sole factor in causing it, but surely the food and drink I put into my mouth would have some impact on a disease in my digestive tract? So I took some very simple steps. I stopped eating foods with lots of artificial ingredients or high-fructose corn syrup. I looked at lists of ingredients on packaging, and if I saw a bunch of words that I didn't recognize, I didn't eat it. I ate lots more fruits and vegetables. I just tried to eat mostly what Michael Pollan would call real food. I combined this with regular exercise; by the time I put this diet into effect, I was swimming a half-mile or more a few times per week. Two years passed as I followed this regimen, still taking my medications faithfully, and having no active disease. And then--although I would not recommend this to anyone--I just stopped taking my medications. Nothing happened. I have basically kept up my dietary and exercise habits from that point on, and have not experienced active disease for the past seven or eight years. It could, of course, be complete coincidence that my disease cleared up around the time I made these changes; I have no way of knowing that. But what I can say for certain is that making those changes in my diet made me feel a little bit more in control of the disease, and my life, than I had been before. The worst part about the disease was not having always to know where the nearest bathroom was, although I didn't enjoy that much either. The worst part about the disease was this terrible, helpless feeling that my body was no longer in my control. When I made those changes to my diet, I was not just watching my body and waiting for it to sabotage my life; I was doing something to help myself, and that felt good. It still does. It has been so inspiring that many educational institutions and teachers have taken up the mantra of grit and attempted to fold instruction and curricula around it. My wife, a kindergarten teacher, used to receive regular pep talks from her principal about the importance of instilling grit in her students. You can now find books about the use of grit in education such as Grit in the Classroom or The Grit Guide for Teens, and the list goes on and on. These are understandable impulses: if grit helps people become successful, we should give this gift to our students. But critics of grit have raised two problems with both the theory and its application in practical contexts like parenting and education. First, many have questioned whether grit can be taught. As you can read in the final section of this article summarizing one major critique of grit, it may be that grit represents more of a character trait--something that tends to be a more stable feature of our characters--than a state that can be changed. Second, emphasizing the power of grit to make people successful doesn't take into account all of the other circumstances that might hold people back from success, including barriers created by socioeconomic status, institutional racism and sexism, and many other factors that are out of people's control. We shouldn't be lecturing the poor child in my wife's classroom who has been abused by her drug-addicted parents about how she needs to become more gritty; we should be helping improve her circumstances. 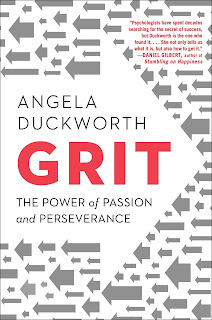 On the first objection, Duckworth concedes at multiple points throughout the book that evidence for our ability to cultivate grit in others, whether our children or our students, is incomplete, and we need more research on the question. In a discussion of the role that extracurricular activities can play in cultivating grit in students, for example, she writes these two sentences on the same page: "The evidence on extracurricular activities in incomplete." "Like I said, the evidence for such a bold recommendation is incomplete." But these sentences don't stop her for making recommendations. As someone who has written advice books for educators myself, I give her credit for inserting plenty of these cautionary sentences throughout the book. But I also know, as she probably knew, that most readers will blow right past those caveats and go right for the advice. So I would have liked to see her exercise even more caution in the recommendations she made, although I can see clearly the hand of an editor or agent at work here: "You need more practical recommendations!" My impression has been that other advocates of grit, less than Duckworth herself, bear the responsibility for uncensored championing of grit without the appropriate cautions. As for the second criticism, you can now probably understand the point of my opening story. I am very sympathetic to the argument that advocating for grit should never become a substitute for advocating for the kind of structural change that would improve the terrible circumstances that often prevent people from becoming successful. We should be very cautious about promoting grit as the secret to success when real structural barriers stand in the way of success for many people around the world. At the same time, what I learned from my experience with Crohn's disease was not so much that I can cure my illness with my dietary superpowers--as my doctors have told me, the disease could return at any time--but that pursuing my own health through a persistent, active program relieved me of the helplessness that I had been feeling for many years in the face of my disease. Duckworth addresses this very experience in a chapter on hope, in which she talks about the fact that "suffering without control" represents one of the major causes of reduced well-being, and can contribute to conditions like depression. This struck a chord with me. My dietary changes gave me a feeling of control over my suffering, something I had been missing for many years. So I will conclude by saying to the lovers of grit that I think we have to be cautious in building courses and curricula and educational initiatives and parenting strategies around the theory of grit. When you read or re-read the book, make a note to yourself in the margins on those cautionary sentences about the recommendations, and think carefully about what you are willing to put out to your teachers, parents, and students about grit. I think it remains plausible that we can help grow grit in people with smart teaching or parenting strategies, but from my perspective the research remains very early and incomplete. And to the critics of grit, I will say that while we do indeed have to proceed cautiously, exposure to the theory of grit may provide a lifeline to some people who could move their lives forward with some information and inspiration, whether that comes from their exposure to Duckworth's work or from the help of a grit-preaching parent or teacher or coach. Laboring to change structural conditions (which is necessary and essential work) doesn't exclude the prospect of also helping people by exposing them to the idea that passion and persistence can have a positive impact on their lives, even if that impact is limited to a greater feeling of control over how they interpret and respond to their circumstances, rather than a change in the circumstances themselves--and, of course, a change in attitude might lead to that change in circumstances. My wife can't follow her students home and change their circumstances there, but if she and her fellow teachers can help even some small portion of their students find hope for a better future through the development of a passion or the power of perseverance, that seems to me like a gift worth giving to them, even and especially to the ones who face significant structural barriers in life. Grit may not make all of us into Jeff Bezos or Katie Ledecky, but it may help some of us adopt a more healthy and positive outlook toward our circumstances, whatever those might be. 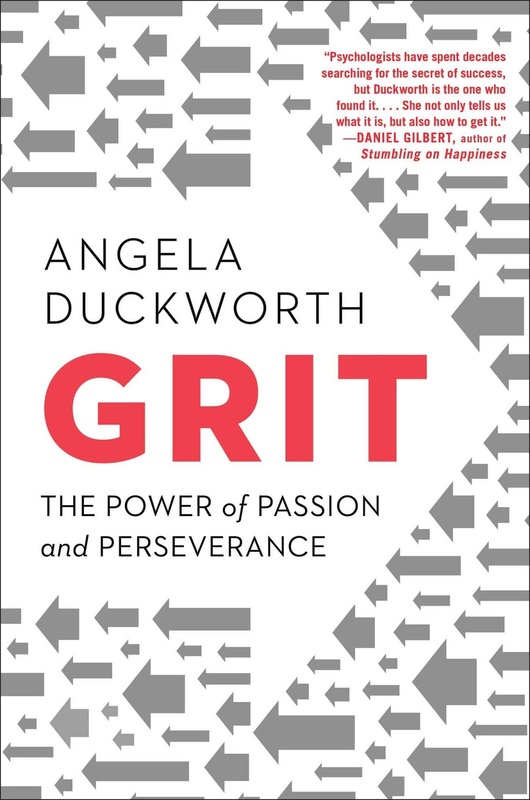 So I hope we can continue to reflect upon grit and its potential to help people thrive, even if we do so with circumspection--and I look forward to learning more from Duckworth, and continuing to read her work, in the years to come. .